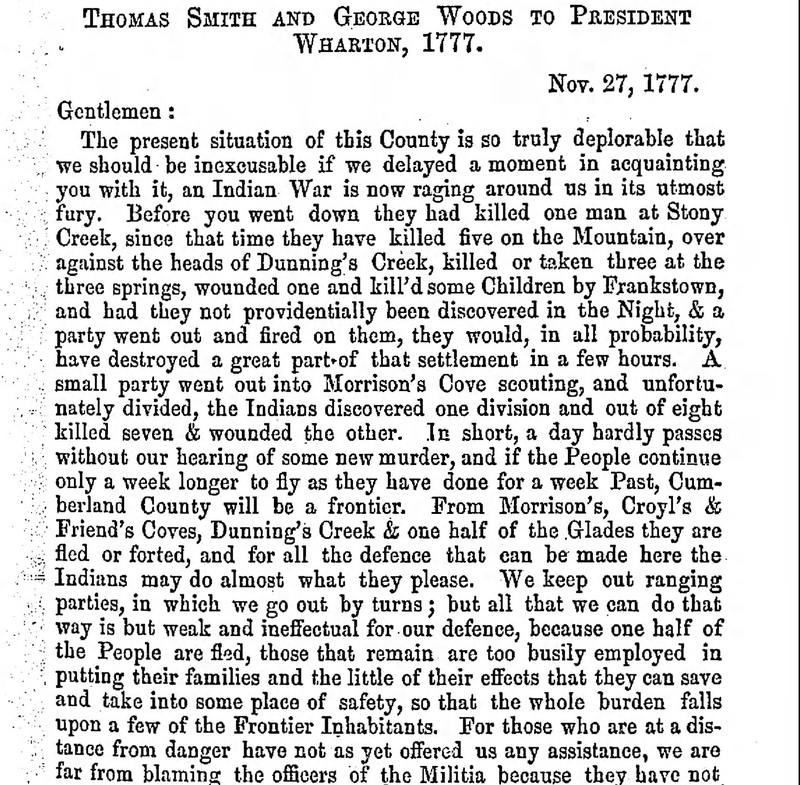 While we prepare for Thanksgiving, now only a week away, we should remember that on November 27, 1777, our country was on the brink of annihilation, threatened by both the British troops and the native attacks on the frontier. 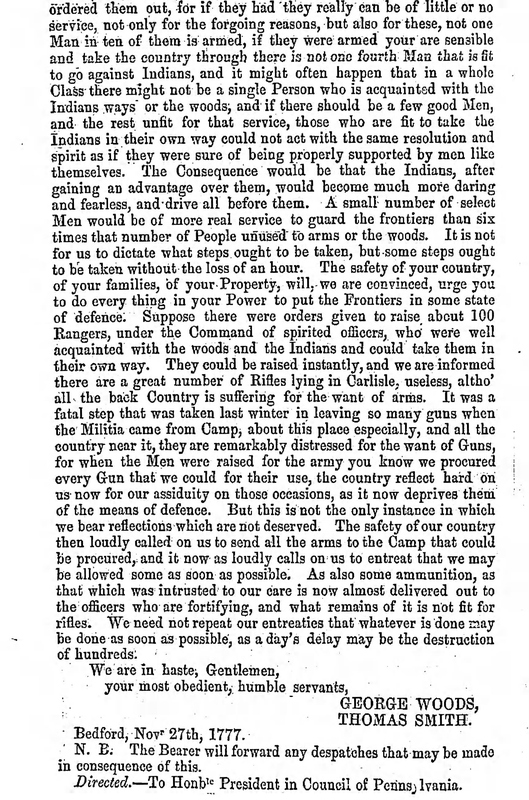 Bedford County, Pennsylvania, suffered greatly during this period, as is evidenced from their letters to the President of Pennsylvania, Thomas Wharton (PA Archives, Ser. 1, Vol. 6, 39-40). The irony that we celebrate Thanksgiving with the mindset of native and settler togetherness is not lost on me. ← “The Spartans of Long Island” – My New Article in the Journal of the American Revolution! Reblogged this on My Frontier Journey.